If there is one sentence artist Sherita Sparrow, ADPC, CDP, and owner of The Feather's Touch, hopes to eliminate from the thinking of residents in senior communities it’s, “I can’t even draw a straight line!” Sparrow is a firm believer that art projects for seniors can enhance their quality of life while helping them learn a new skill. Let's explore this further. Her company, The Feather’s Touch, brings a professional artist to help residents of all skill levels, beginners to professionals, and all cognitive levels, independent through dementia, express their talents. Sparrow's motivation came from her personal encounters as an art specialist. Sparrow’s observations of the benefits of art are backed up by the scientific research of Joseph LeDoux, a behavioral neuroscientist at New York University. He discovered new learning experiences boost the development and improve the information processing and memory storage in brains in mid-life and older. Another study of the arts was conducted with the Levine School of Music in Washington DC. This looked at 300 seniors — half enrolled in an arts program once a week and a half not enrolled — over a two year period. The study reviewed the health and social functioning of the participants before, at one year, and at the end of the study. The results: those who attended the arts program had better health while those who did not attend saw their health deteriorate. In addition, the arts group used fewer medications, felt less depressed, was less lonely, had higher morale and was more socially active. I have witnessed another benefit. A woman who was able to continue her love of art in the nursing home recently passed away. At her funeral, her daughter thanked the art therapist for the last art piece created by her mom. A treasured gift. In addition to working directly with residents, Sparrow also conducts educational workshops and courses tailored to the enhancement of the activity profession. An effective activities program must include a variety of programs that meet the resident’s interests. That is an essential part of the culture change movement in nursing homes. 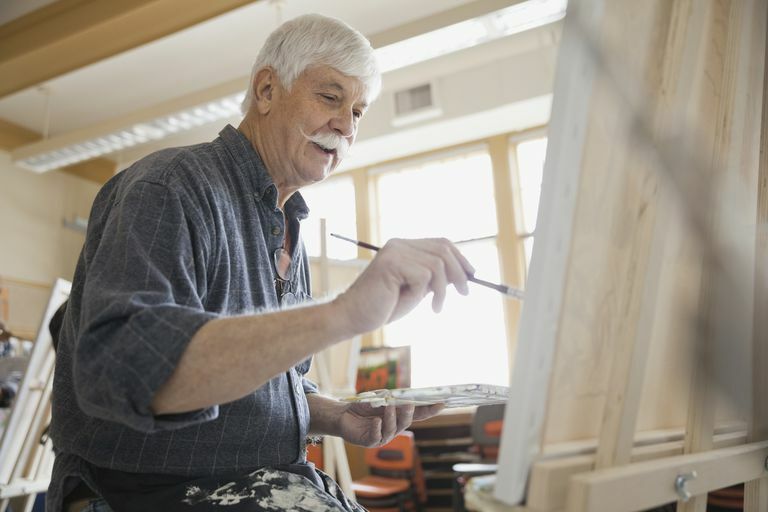 An art program, whether in a group setting or one-on-one can not only help fulfill a requirement but also enhance the quality of life for residents.